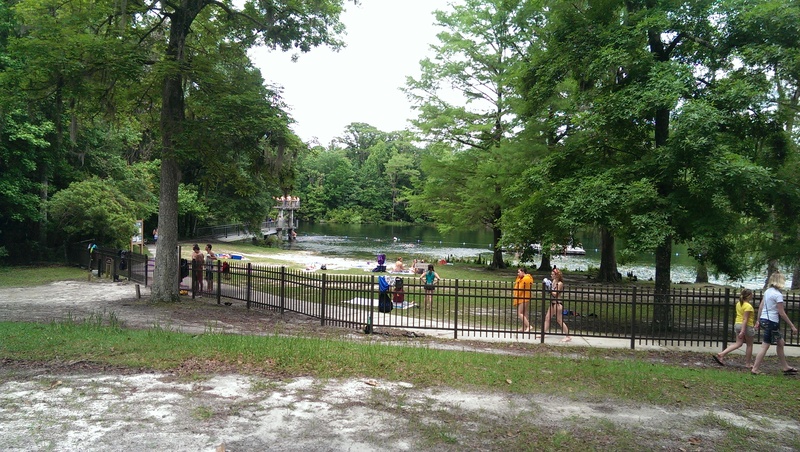 Wakulla Springs: The largest and deepest freshwater spring in the world. We spent some time thinking about another Florida spring to visit other than the several we have already experienced and we found a winner. An awesome clean,clear water - Florida's largest and possibly the world's largest freshwater spring located in Wakulla Springs, FL. It is a first magnitude spring with roughly 200-300 million gallons/day water flow. 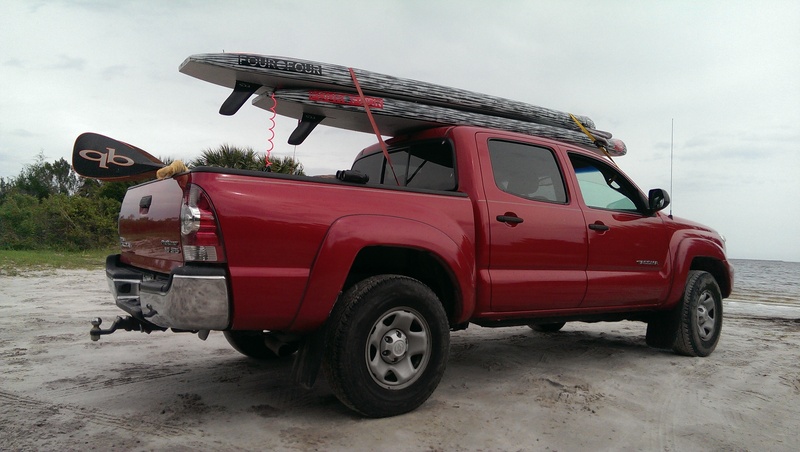 This seemed like a must see spring so we loaded the truck with paddle boards and bikes and headed out. 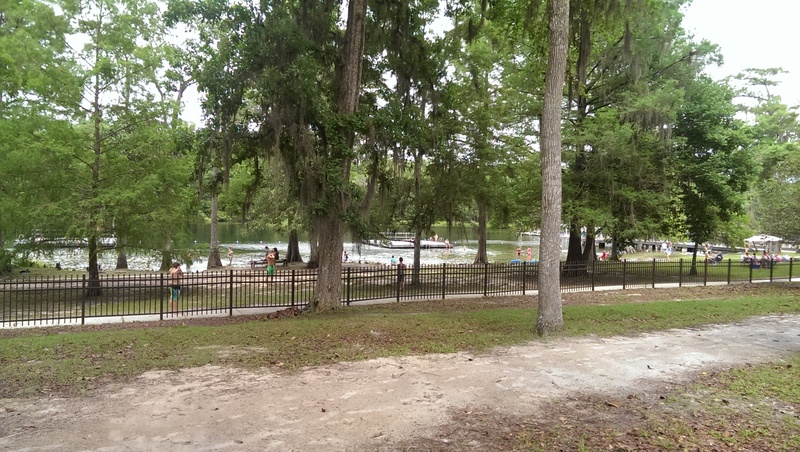 Wakalla Springs has camping, a hotel, a huge spring basin, and nearby mountain biking which should prove interesting for this weekend get-away. It was a 4-5 hour drive which took us through some of the most abundant and vastly expansive forests I have ever experienced in Florida. We drove miles and miles with only few houses here and there, a small town and then more forest. 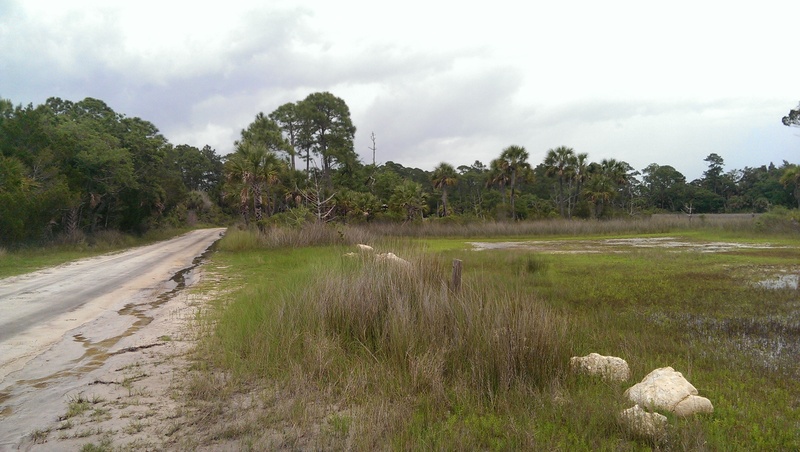 There are vast undeveloped stretches of land which was surprising and something we were not accustomed to while living in the strip mall infested lands of south Florida. We found roads that you would swear were akin to the way it was a long long time ago where population was sparse, the roads were only white sand and old growth still had meaning. Quite nice. We meandered through all these roads until we finally reached the spring after a short deviation to Live Oak to check out the Live Oak Music Festival. ( Entry for the event was more than I wanted to pay and seriously. I like to work / exercise way more than spending $500 to party for three days ) We arrived at Wakulla Springs early Saturday mourning and luckily, the day of a interesting outdoor festival with Bands playing Folk/Bluegrass, Sierra Club and their ilk presenting and booths all focused on conservation and nature. ( You never know what experiences are out there until you get out there. ) 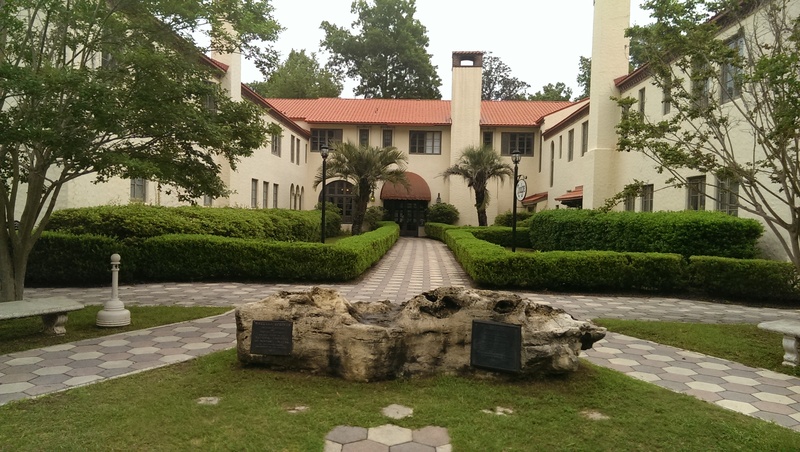 It is a well kept park which also has very old lodge infmaously known as - Wakulla Springs Lodge. We booked a room in this 1937 lodge. Its old, feels old and my senses had me thinking of the old days when this place was first build. To me, it was almost haunting and an interesting place to check out so we settled in. First thing was to check out the springs. I needed the refreshing cleansing properties of spring water to rejuvenate my mind after a long drive. The spring is big, really big and has a 15 foot dive platform in the cordoned off swimming area. I swan from platform to platform until I reached the dive platform. You will see mullet, carp and all kinds of fish and turtles but be sure to bring a mask. This is a must in any spring actually and pays for itself by enabling clear site of all the creatures while swimming. After swimming for a bit, taking a couple of jumps off the dive platform and checking out the outdoor festival, it was time to secure our bikes, paddle boards and find some food for the evening. Conviently the lodge has a restaurant and thankfully so, since grocery shopping / cooking would be a two hour process and we just didn't want to deal with it. We ordered shrimp and grits, New york strip, a wine and beer. Good enough for tonight. The lodge has big opportunity to expand and become a must visit place but we could tell that the budget is tight and the food proved this. The shrimp and grits were spiced well and generally tasted okay but the steak. It was tough and we barely touched it but this is probably because the lodge was undergoing a change of ownership / management from the state to a private entity and they haven't gotten up to speed. They are working to revitalize it and I bet they can but they need to revisit the suppliers and promote events where people want to stay either in the lodge or camp. It could truly be an awesome dining experience outside of the springs. I'll leave it there in regards to the restaurant but breakfast was good. Just add a little of fresh spice and move on. Long day, solved the food issue, ordered some brew and wine then proceeded to chill with the people staying there and tripping out on the interesting vibe. Its old, the music is from the 30's and the spirit is cool. Off to bed in the wee hours of the morning. Up early, ate breakfast which wasn't bad at all and off to the springs for a morning swim. The swimming 'area' opens late like 9:00am but good enough so I dived in for the morning cold water body shock that I love. It wakes you up, changes your mindset and opens the energy reserves for the day. People were already there ( no one swimming ) chilling out and and sight seeing whatever they can see in the mourning newness. About two platforms in, the early bird sight seers were waving to me to help me understand a alligator was moving from the banks to a more secluded area. I was probably 20 feet off before I would have seen a seven footer just below my swim path. Wouldn't that have been interesting to explore the waters and see a fairly large alligator making its way just under me? Oh well, I missed the beast but stayed a bit on the second platform just to make sure it was gone. Then I was headed to the dive platform. Two jumps started my day just fine. Now I am prepped for the drive home. Refreshed and thankful that I was able to make this trip.